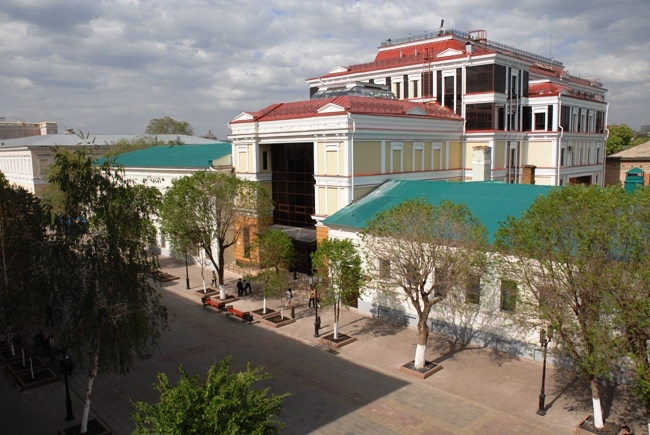 The Orenburg Regional Library has been an essential provider of free books, information, ideas, and education for more than 100 years. Founded on the 19 February 1888, ORL is the largest public library system, bringing an extraordinary richness of resources and opportunities available to all. The Library offers to readers the largest system of the specialized divisions and reading rooms. The bibliographic and reference division with the local history study unit, law search resource centre, Internet access room, periodicals reading room, loan division. The library structure contains 129 persons, 74 of them have degree. In 2007 the library recorded 128 thousand visits, the number of readers totaled 24 thousand persons, and they have been given more than 500 thousand printed items. Library possesses more than 2,3 million items including 30 000 publications in 100 foreign languages. The Library keeps an universal collection, which contains literature in all areas of knowledge, The library subscribes more than 1000 titles of magazines and newspapers. A collection of the rare book’s unit (13 thousand documents) has a special historical, cultural and scientific value: manuscripts, where particularly valuable is the ever oldest book preserved in the library, books from XVII-XIX century editions, 111 periodicals titles, lifetime editions by literary classics – A. S. Pushkin 1830., Derzhavin 1808., L. N. Tolstoy 1864, books with autographs of scholars, writers, public activists, miniature editions.